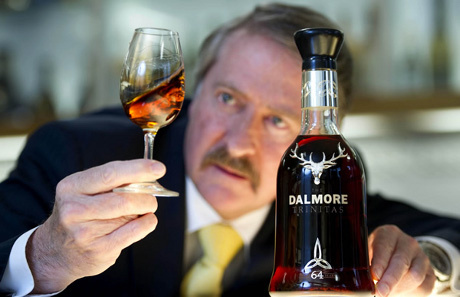 GLASGOW, Scotland October 14 – The first bottle of whisky in the world to break the six figure price barrier was revealed today by The Dalmore distillery which has sold two bottles for £100,000…each. The 64 year old Trinitas, named because there were three bottles produced, was acquired by a luxury whisky lover in the US and a renowned whisky investor in the UK. 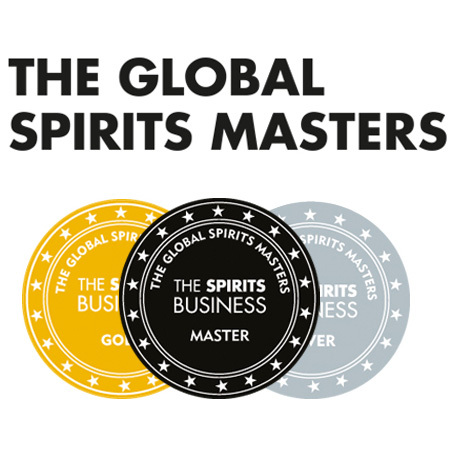 The third bottle of the record breaking spirit will be sold at the Whisky Show in London at the end of October. But organisers are keeping the exact details of the exclusive sale under wraps for the moment. 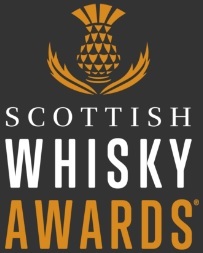 Industry experts claim that if the bottle was sold by the glass in exclusive restaurants and clubs, it could fetch up to £20,000 for a typical 50ml dram. Trinitas is believed to contain some of the rarest and oldest stocks of whisky in the world, some of which have been maturing in the distillery on the shores of the Cromarty Firth for more than 140 years. The Dalmore’s renowned master distiller Richard Paterson used his unrivalled expertise to fuse a range of these exclusive malts together. He claimed this was not about breaking world records but about making the best whisky money can buy. This entry was posted	on Thursday, October 14th, 2010 at 9:23 pm	and is filed under News. You can follow any responses to this entry through the RSS 2.0 feed. Responses are currently closed, but you can trackback from your own site.